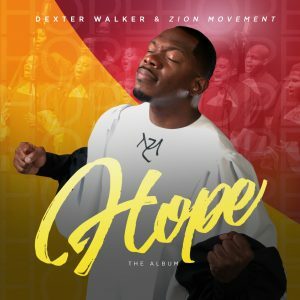 Today on The Morning Show, we present the Premiere of “Supernatural God (Bionic Choir Remix)” from Dexter Walker & Zion Movement featuring B. Slade. Our Inspirational Moment features Hart Ramsey. Check out music from Erica Campbell, Tobbi & Tommi, Skillet, Applejaxx, KB, Jason Clayborn & The Team, Avery*Sunshine, Ryan Carty, Micki Miller, Heyzeus, Faith Evans, Fantasia, Kelly Price, Marvin Gaye, Ryan Jackson, Ray Bady, Schuyler Johnson, Donald Lawrence & The Tri-City Singers, Sheri Jones-Moffett, Brian Reith, Ledisi, R-Swift, Fred Hammond, Adrian B. King & Reverence, Darius Brooks, VaShawn Mitchell, Richard Smallwood, Steve Crawford, Jordan Smith, Brian Courtney Wilson, and more. This entry was posted in Podcasts, The Morning Show and tagged #BostonStrong, Adrian B. King & Reverence, AppleJaxx, Avery*Sunshine, B. Slade, Brian Courtney Wilson, Brian Reith, Darius Brooks, Dexter Walker & Zion Movement, Donald Lawrence & The Tri-City Singers, Erica Campbell, Faith Evans, Fantasia, Fred Hammond, Hart Ramsey, Heyzeus, Inspirational Moment, Jason Clayborn & The Team, Jordan Smith, KB, Kelly Price, Ledisi, Marvin Gaye, Micki Miller, R-Swift, Ray Bady, Richard Smallwood, Ryan Carty, Ryan Jackson, Schuyler Johnson, Sheri Jones Moffett, Skillet, Steve Crawford, The Morning Show, Tobbi & Tommi, VaShawn Mitchell. Bookmark the permalink. Trackbacks are closed, but you can post a comment.